There are just a few shopping malls based in the very center of the city. 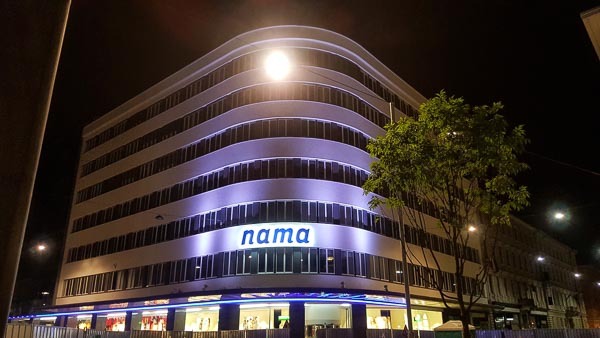 Two most well known and visited are Nama and Maximarket. For a serious retail therapy head to the outskirts of Ljubljana. There are shopping districts that will keep you busy for hours or even days. 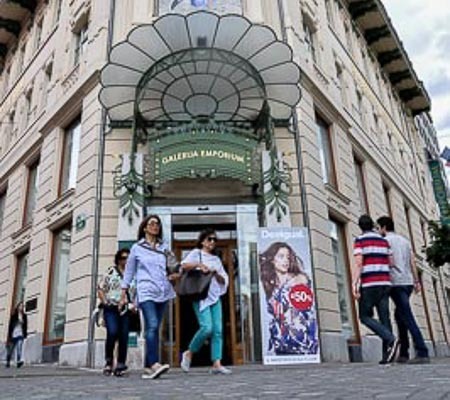 With its long tradition, NAMA probably remains the most famous Slovenian department store. At the location, the cash registers first ringed in 1965. This five-storey mall puts forth a variety of different goods from clothes, accessories and cosmetics to homeware, gifts and food. On the top floor, there is a cosy cafe with children`s toilets, baby changing room and toys. This shopping mall is located in the very centre. Follow Copova Street from the Preseren Square and you`ll bump into it. It is open every day but Sunday until 9 pm. You will find Maximarket on the Republic Square, opposite to the Parliament building and just behind the Ursuline Church. Although its outer image got stuck in the 70’s, the inner offer is constantly updated. Maximarket is a shopping centre that will please tastes of more demanding customers. It markets different sorts of clothes of well know brands, cosmetics, there is a chocolate shop, a florist, an optician, a goldsmith, cafes and three restaurants: one of them is of high-end. There is a grocery store on the bottom floor which is among other food offering a wide range of healthy food, organic, dietetic, vegetarian, gluten-free food, vitamins and nutritional supplements. They also have an appealing selection of wines. 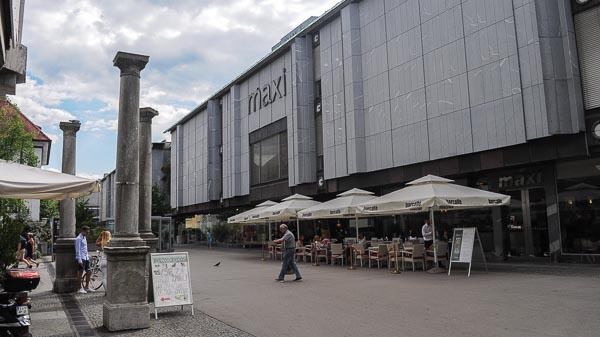 The biggest shopping district in Ljubljana is BTC City, which is a multiplex of malls situated some 5 km from the city centre in direction to Maribor. Here you will find everything from household appliances, electronic goods, computers, to furniture, fashion; there are also numerous restaurants, bars, gyms, multiplex cinema, a bowling centre, aquapark, casino etc. 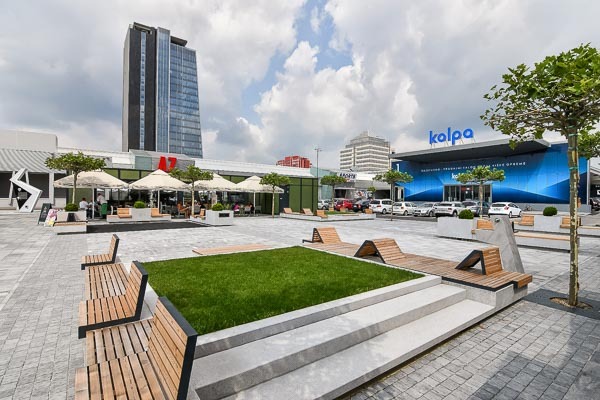 The biggest shopping centre in the BTC City is Citypark. Accessible by bike, car or bus no. 27. General opening hours are from Monday to Saturday 9 am – 8 pm. This complex of malls and shops allows you to choose between home and garden equipment, household appliances, health, fashion, sports, and nutrition. Open from 9 am until 9 pm, on Sundays until 3 pm. The second biggest shopping district of Ljubljana is located at the ring road of Rudnik area around 5 km South of the city centre. You will get to it if you follow Dolenjska cesta Road. Parking lots are abundant, you can also reach it by city bus No. 27. Set in one of the most beautiful Art Nouveau buildings in Ljubljana this luxury department store offers high-fashion clothes, shoes, and accessories in five floors. It is located in the centre of town, on the main, Preseren Square. Besides the wide variety of well-known fashion brands, the staff of the store offers free consulting, personal shopping services and Tax-Free shopping.